A Workers’ Compensation Medicare Set-Aside Arrangement is a financial agreement in which a portion of a workers' compensation settlement is allocated toward future medical services that are related to the injury or illness covered by workers' compensation. The funds need to be used before Medicare kicks in to pay for related treatment. The amount of the settlement to be allocated is determined on an individual basis. If you are concerned about the impact of a Medicare Set-Aside Arrangement on your case, you should contact the experienced Boston workers’ compensation attorneys at Pulgini & Norton. Under the Medicare Secondary Payer Act, Medicare is the secondary payer in cases in which liability insurance policies can pay for medical treatment. This means that Medicare will not pay bills for your work injury unless workers' compensation is unavailable. Medicare ensures that you spend some of your settlement money on injury-related treatments by requiring a Set-Aside Agreement in certain cases. If Medicare pays for medical bills related to your workers' compensation case, it has a lien on your workers' compensation settlement or judgment for the reimbursement of any injury-related medical expenses paid to your providers due to an accident or illness. This means that Medicare is entitled to be paid part of your settlement or judgment, based on all of the bills it has paid for your injury claims. Medicare Set-Aside Agreements may be needed in workers' compensation settlements depending on the settlement terms. If a workers' compensation settlement specifically excludes future medical expenses, a Medicare Set-Aside Agreement is appropriate. 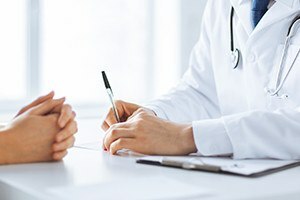 However, in some Massachusetts cases, there may be no allocated future medical expenses because most settlements are based on accepted liability, and medical expenses remain open even after settling. As a result of the accepted liability, the workers’ compensation insurer covers future care, and no arrangement is necessary. However, if a settlement closes the possibility of paying for future medical expenses, and a worker anticipates that she will receive medical care after the settlement, different expectations may apply. If a worker is on Medicare or reasonably expects she will become a Medicare beneficiary within 30 months of settling, she will need to allocate some of the settlement to a Medicare set-aside account. This is used to fund post-settlement medical bills related to the work injury. Medicare does not pay for future medical expenses unless the Medicare set-aside account is depleted. It may be necessary to retain a financial consultant to determine how much should go into the account. The consultant prepares a report that is sent to the Medicare administrator for approval. If the report is approved, the account is funded. When this account is not set up, but the administrator believes it should be, Medicare payments may be stopped or suspended. If you are concerned about a Medicare Set-Aside Agreement, it may be beneficial to have an experienced Boston workers' compensation lawyer at your side. At Pulgini & Norton, we advise and represent claimants in Cambridge, Andover, and Weymouth, among other Massachusetts cities. Contact us at 781-843-2200 or through our online form to set up a free consultation with a work injury attorney.